Come to our home in the Wood River Valley, and experience true 'country living'! My husband and I own a ranch with approximately 200 (ish) cows/calves/bulls, and 70-80 horses. We live in the Wood River Valley in south central Idaho, and have a view of the Sawtooth Mountain Range from our living room window. 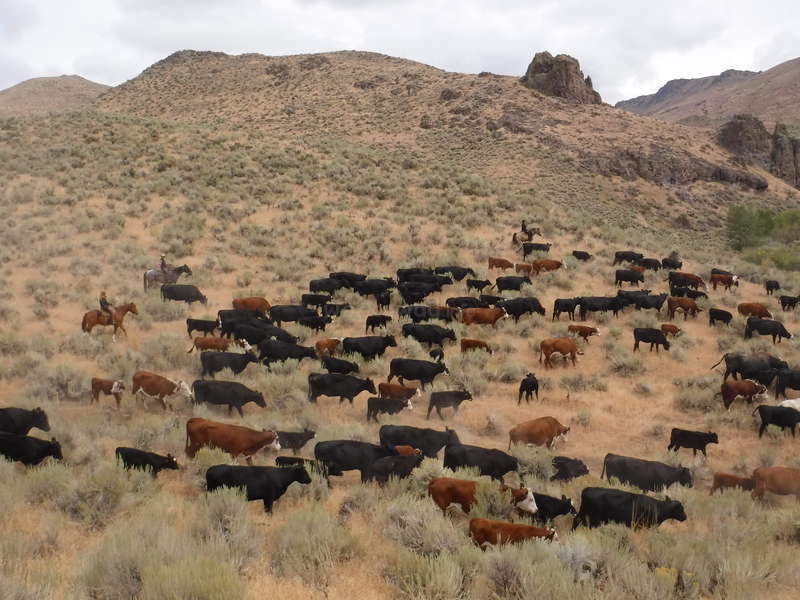 We own 3 separate properties, totaling approximately 250 acres, and we have various aspects of our ranching operation on each of them. In the spring, from our back porch we can watch the new baby colts buck and play. We have approximately 23 mares who foal in the pasture right outside our back door. It's always fun to watch them run and play all summer long! 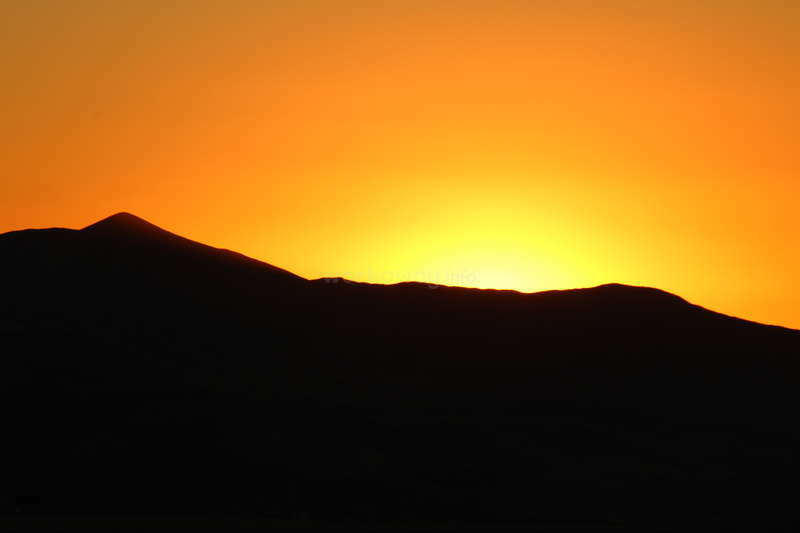 We live approximately 45 minutes from one of Idaho's more popular ski resorts, Sun Valley. There is also a city approximately 1 hour from our home. Some of the sights include Sun Valley, Craters of the Moon National Park, Shoshone Falls, and various other parks and sights within a few hours' drive from our home. 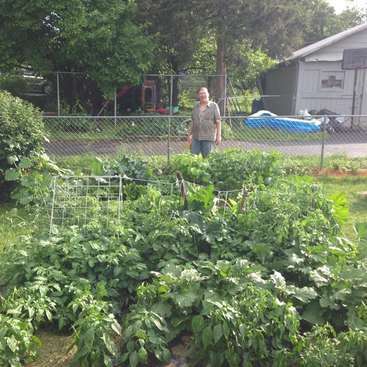 We have a large yard, with flower beds, and raised vegetable garden boxes. We have a small pond that sits in the corner of the yard, and a dog, Rudy, who loves to go on cattle drives, or just laze around the yard when there's nothing for him to do. The horses live in various locations around the properties, and love to be 'visited', when they're not being ridden. We have 5 adult children, all living away from home. 2 of them live in Carey near our home. As a speech-language pathologist, I am interested in learning new languages and cultures, and would be willing to help our guest learn English. I am also a fluent signer (ASL), and would love to be able to have the opportunity to practice my sign language. 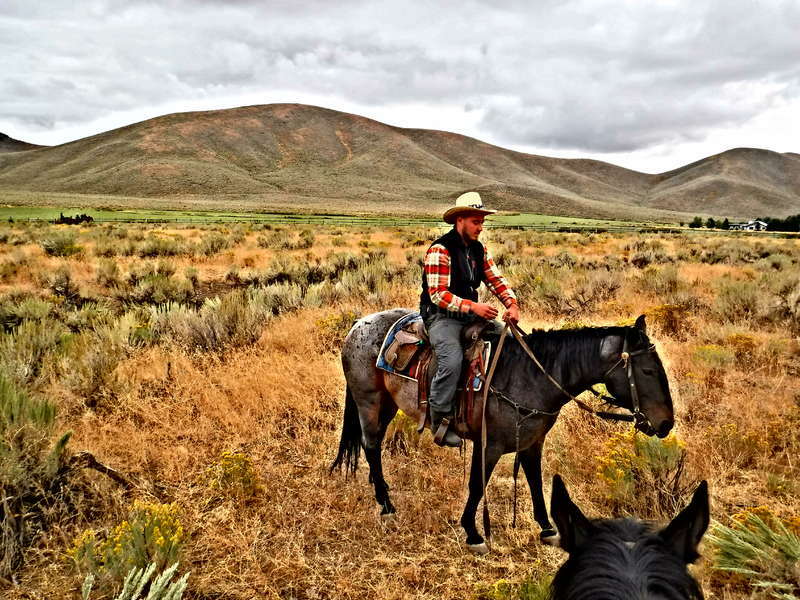 Travelers will have the opportunity to learn what country living in South Central Idaho is like, and learn from one of the last true 'cowboys' of the American West! You will have the opportunity to practice your English, and if you want to try to teach us some of your language, we would love to learn. It's always good for a laugh, as we sit around the dinner table with our work awayers and try to teach each other words or phrases from our various languages. We have had work awayers for two years now, and we have truly enjoyed each of them, and have made them our extended family! Most of the duties on our ranch involve some significant physical labor. We welcome guests who are not afraid to have dirty hands, and sweat rolling down their backs. 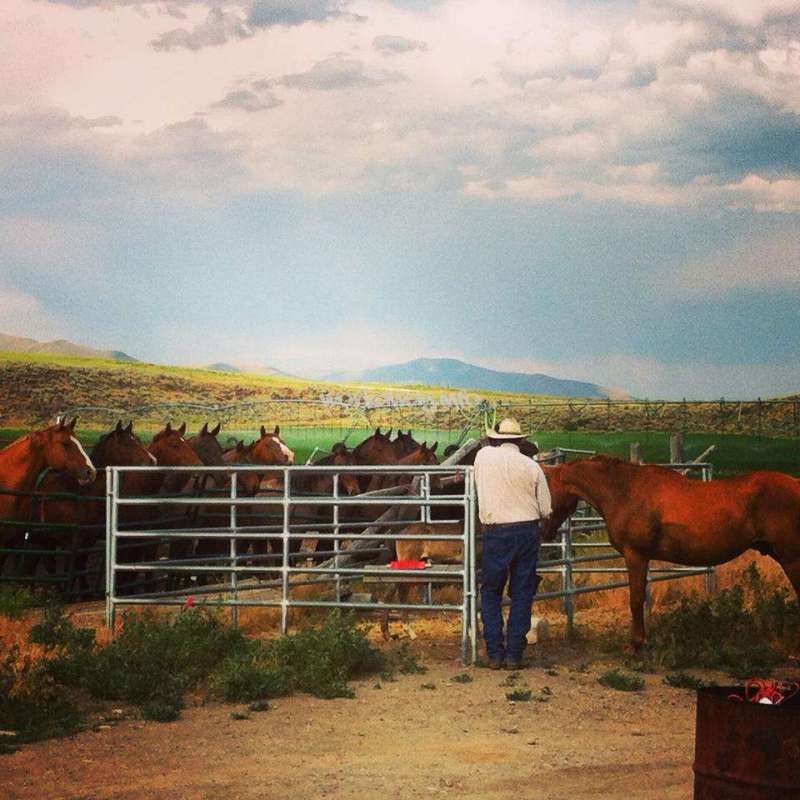 It is important to emphasize that this is a working ranch, and not a horse stable. There will be some work with the horses, but this will not be a daily thing. 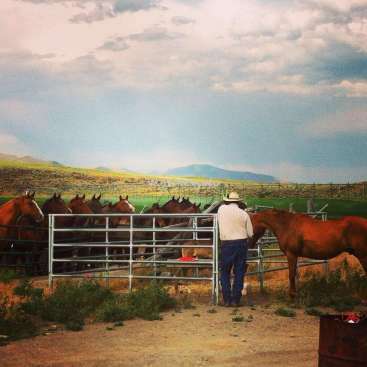 There are many aspects to operating a ranch, such as irrigating hay fields, cutting and hauling hay, fixing fences, and various other tasks that are typical of a ranch. If your primary interests are working with horses exclusively, this is likely not the placement for you. If your primary interests are to see the first-hand operations of a working ranch, then we would love to have you as our guests! 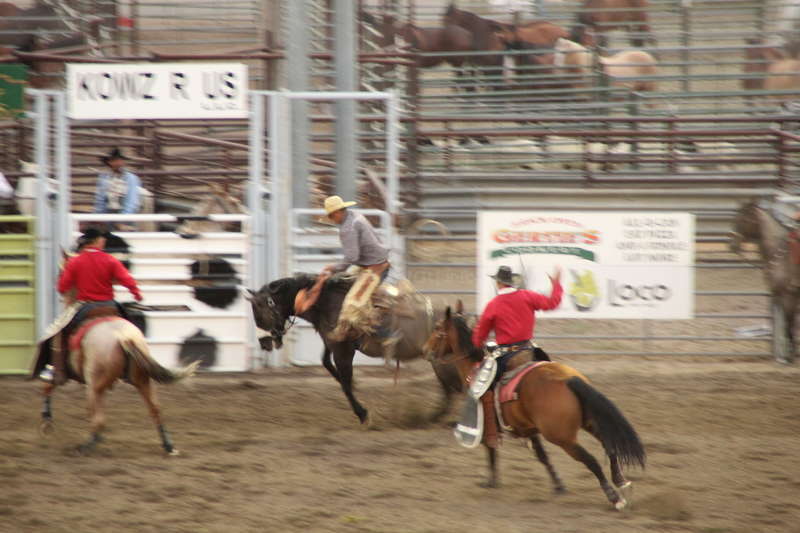 In exchange, we offer the opportunity to learn what country living is all about, and the ranching lifestyle. 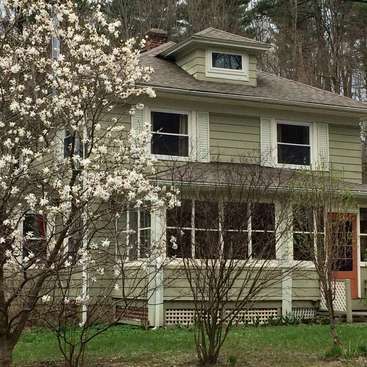 Our home is a 2 level, 6 bedroom home with 3 bathrooms, a media room, a living room, and a back deck overlooking a horse pasture that is always full of horses. We have 2 spare bedrooms, and our guests would have access to wifi, their own (or shared....depending on how many work awayers we have) bathroom, and a fantastic view of the Sawtooth Mountain Range! Our kitchen is large, and our fridge is always full! We love it when our work awayers cook for us, as my cooking skills are sketchy, at best, and my husband.....well.....sometimes he'll cook breakfast. :) Most of the time we offer an "every man for himself" opportunity (help yourself to the kitchen and its contents), or when we have many work awayers, we will rotate cooking responsibilities for the group. If we had a guest in the winter months, volunteers would be able to ski or snowboard in the mountains (Sun Valley Ski Resort) near our home. There are opportunities for downhill skiing, cross-country skiing, or snowshoeing. There is a city (Twin Falls) 68 miles from our home. The town we live in is small, with 2 gas stations, a post office, and a couple churches. My husband and I would be willing to provide our guests with some tourism experiences on weekends, but our work weeks are generally pretty busy. 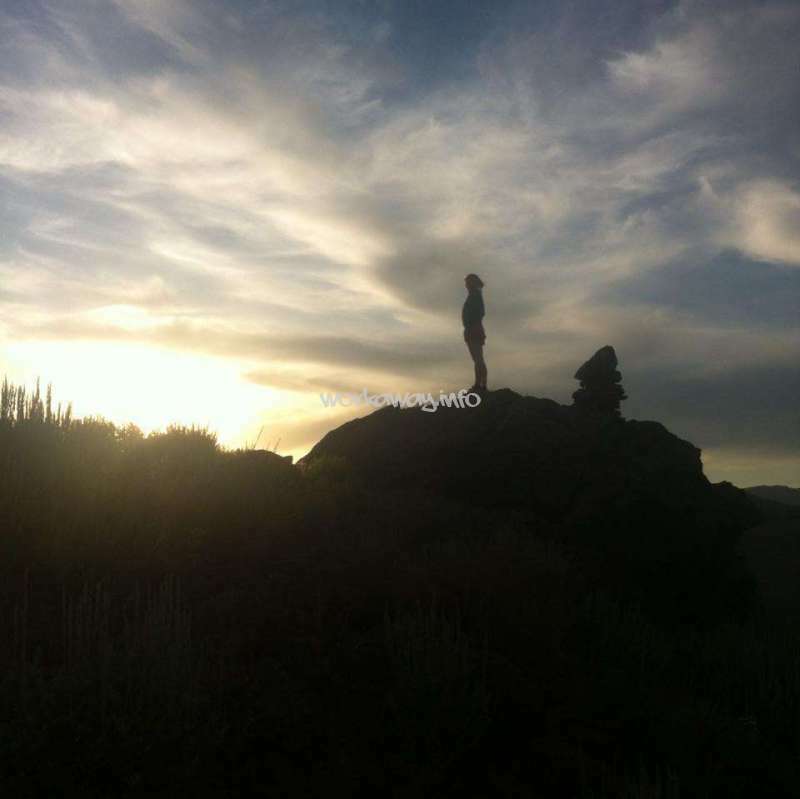 During the summer months, there are hiking, and cycling trails around Sun Valley. 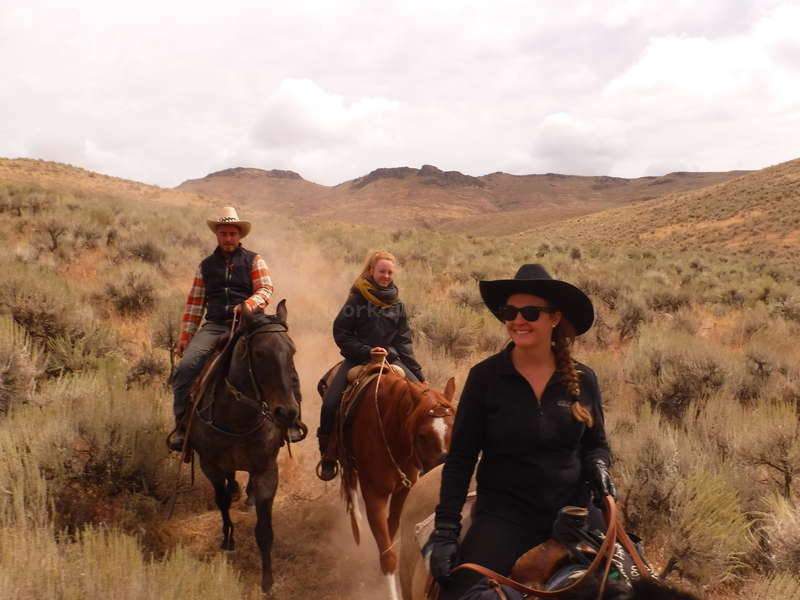 There are opportunities for horseback riding, cattle drives, etc. Waiting for the Wagon Days Parade. Some work-awayers were impressed with Rick's Jacket. The view from (near) the top of Queen's Crown Hill .....a landmark in Carey. A few of our horses, and my husband, Rick. 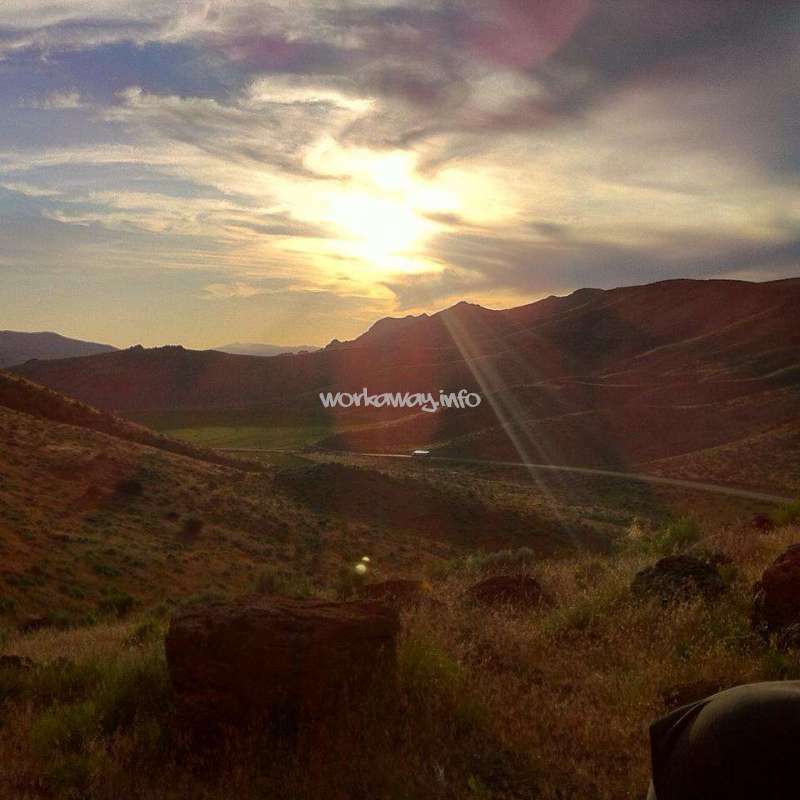 The Mecham's ranch was our first workaway experience and we are so happy that it was! The entire house welcomed us with open arms and we couldn't be more grateful for their hospitality. We gained so much knowledge about working on a ranch and what all that entails, which was exactly what we were looking for. Each night was spent around the table… read more telling stories and talking about the day's work. We also loved getting to know our fellow workawayers from Egypt and France! Each person had a story to tell and culture to share. Our tasks varied from irrigation to gardening, yard work to feeding the horses. As it says in the description, this is not a place to come and ride horses all day. This is a working cattle and horse ranch, and Rick needs help with all of the day to day chores that must be accomplished in order for the ranch to function. Rick was nothing but patient and kind with each of us and always made sure we were comfortable doing whatever the task was for the day. Also know if you are coming from a home with lots of house pets that none of the pets on the ranch are that. They are all working animals and are not necessarily treated like part of the family (i.e. no dogs/cats in the house, etc.). Also know that you may not be guaranteed your own room. We were absolutely fine sleeping on a blow up mattress in the basement, but that may not be the case for everyone. The fridge was always stocked and one of the workawayers from Egypt was an AMAZING cook! Weekends are always off and we took advantage of the sawtooth mountains and went exploring! There is also a nice local swimming spot and one evening we all floated down the river. We also did a little bit of riding, and had a big celebration for the fourth of July. That day we went out to the lake and watched the rodeo and fireworks in Ketchum. 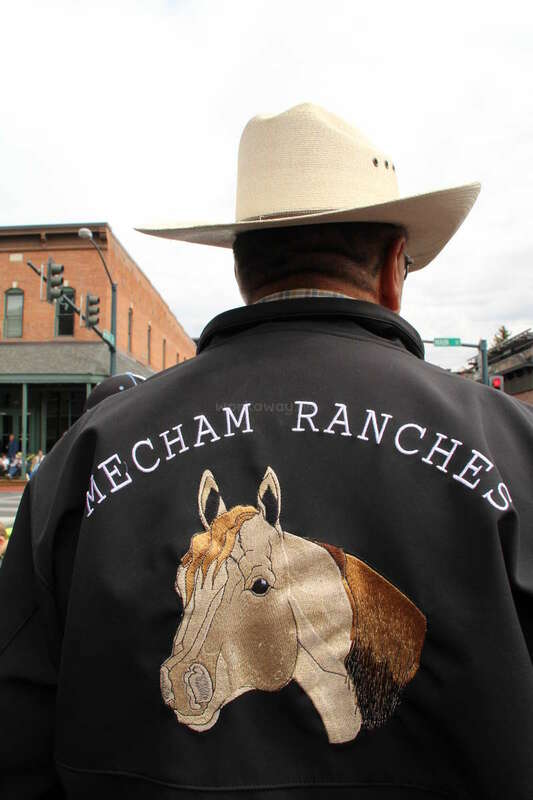 We made so many memories and encourage anyone willing to work hard to go and give a hand on the Mecham ranch! Rick and Stacey are nice, welcoming people. I just had other expactations of my stay at their place. I was planning to stay here for 4 weeks. After a couple of days I found out that the work in summer did only include working in the gardening and moving pipes. I was expecting more work with the horses. They now adjusted their description so its… read more more clear of what to expect. I just came from a ranch where I did a lot of cattle drives and was hoping to do that at this place as well (the description before said that you would.) That wasnt the case. In the time I was here the house was full of people (7 workawayers), I had to share an entertainment room with 2 other people. There was no privacy, something I missed. After a week I decided to go back to the ranch I stayed before. 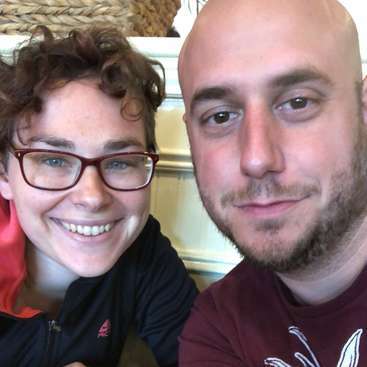 I spent a month with Rick and Stacey and it was a very nice experience. They are very welcoming and friendly. They drove me and the other helpers in Salt lake city, Yellowstone, we saw a rodeo, lots of beautiful places around the city, they really tried to do their best to make sure that you are enjoying your stay. About the work. I arrived mid… read more July and I left mid August. During this period Rick is irrigating his fields to get some hay for his cows and horses so the main job was to move pipes (irrigation tubes) in the morning (+/- 1.30 hours) this is not a lovely job but it was nice to be outside enjoying the landscape. Otherwise, there were some jobs around the house like gardening and construction. There is also the possibility to ride when Rick is available but be aware that during this period (summer) you are not going to work with horses (cattle drive for example). I had also the possibily to discover fly fishing and shooting, that was very fun. About Carey. This is a tiny quiet town. There is a restaurant (the famous 93) where you can enjoy a milkshake or whatever you want. There is also a Stadium where you can do your workout. There is a car available for the helpers and you can use it during your free time to go to the lake for example. There is also the most lovely dog I have never met (Rudy) who likes to join the moving pipers team ! We spent almost 2 weeks at Rick and Stacey's ranch. It was short, but it was good. I need to say that it was not what we expected for... Because it was this summer, unfortunatly, we didn't seen any cows, any cattle drive and just 3 horses able to be ridden. So, if you want to discover activities around cattle , i'm sure it's better in spring! I… read more rode a "green" horse and Rick was very good teacher. His advice will remain in my memory !!!! We are greatfull for our wonderful stay to Stacey's and Rick's ranch ! They took us to Yellowstone(Twice!) And many times to the citys around there for dinner, visiting or shopping. They both are lovely and very funny ! There is no way… read more to not feel like a member of family! The house is veery cosy with a lot of space. We were looking for a real ranch with real Cowboys, we found it !! Driving cattles by horses on the mountains for hours, a dream came true ! We miss you so much ! It's hard to know where to start with the positive things we have to say about our time with Rick and Stacey. They are the most welcoming, kind and interesting people you could wish to meet while travelling. They are both fascinating to watch working with horses and we learnt so much from them about the ups and downs of owning a ranch. During… read more our time we were made to feel like part of the family and Rick and Stacey were willing to go out of their way to show us, and the other work-aways, how beautiful their part of the world is. Also including us in a fantastic trip to Yellowstone where we celebrated Canadian thanksgiving with them which really made us feel like we were at a home away from home. 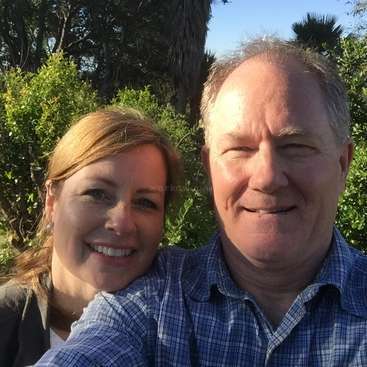 Be prepared to work hard and be eager to learn.. Rick and Stacey are eager to teach but also have busy lives so they need people who are intuitive and happy to help with every day jobs as well as the fun ranch jobs. Also if you are a good cook this will be a great place for you!! Thank you both so much for everything you shared with us and taught us. Your knowledge and experience is absolutely fascinating. We would love to come back and learn more from you both and be around during a busier time on the ranch so we can see the hard work you go through each year. It was hard to leave this place, it felt like we were leaving our family & we both think about you and the horses every day! Thank you for showing us another life away from the hectic city life that we live right now. We can't wait for the reunion and wish you both a Merry Christmas! It's so hard for me to write this assessment, because I have really no words for my time there. It was just amazing. I spent 1.5 month with Rick and Stacey and it was like meeting family. I loved the place and the work in the ranch. I loved just the way they life. I learned so much there. Also about myself. Rick and Stacey are so open and… read more lovely people, who like to have workawayers around. They showed me and the other workawayers so much from the beautiful Idaho. We even visited the impressively Yellowstone. It was just amazing and I'm so thankful for everything. So, I stop now to write and just say THANK YOU so much. I will never forget my time I had and I miss you both a lot (I miss the Ranch, Clarisse, horses, the others workawayer, the beautiful Idaho…everything). But I'm sure that we will see us again and I'm looking forward to this time. Until then I wish you only the best and a lot of fun with the new workawayers, who will spend a nice time with you in your beautiful place. Rick and Stacey are the most amazing and loving people I have ever met in my life. They are so kind, warm hearted and funny and they always try to make sure that you feel well and that you enjoy yourself. I spend 3 mounths at their great ranch in Idaho. During my stay I learned so much about ranch life, irrigation, gardening and engineering skills… read more but also a lot about myself. I have been in school for 12 years and I have never ever done this kind of labor before - I didn't even know that I was able to do all these things, but I enjoyed it so much and I am very sad that the 3 mounths are over.... Idaho is a great area, I have been on top of Queens Crown in Carey and Morman Hill in the Sawtooth National Park (that is a great place to go hiking), I visited the national parks 'Craters Of The Moon' as well as Yellowstone. This was one of the best summers in my life, I will never forget all the adventures and the people I got to know in Idaho. I also really enjoyed being around all those animals, the horses, the cows and the dogs (the cat is a little weird though.....haha). I miss the people and the ranch so much and I can't wait to go back there to see all the people again and to work and 'move pipe'!!! :D Again, thank you so much, Rick and Stacey, for the great time and all the new impressions and opportunities you gave me. Miss you! Take care! Greta stayed at our ranch for 12 weeks, and was a fantastic work-awayer! She always gave everything 100% effort, and was a quick learner, and very independent. We were so sorry to lose her, and hope that she is able to come back to see us again soon! Amazing place. Thanks you Stacey and Rick for made our cow-boy dream come true. If you want to try the farmer life it's the place to go!! A good welcoming and friendly peoples. I love Rick and Stacey! They are seriously amazing! I have unofficially adopted them as my Aunt and Uncle. The ranch is beautiful, and the work is good. It is real work, so be prepared to do some labor; but nothing too difficult. The town is small, but there are a few larger towns close with options for eating out and entertainment; as well as… read more many outdoor activities. Being a small town there is a sense of community, which is somthing I have missed for many years. And the animals, so many animals. Being an animal lover, I felt right at home with all of the horses, cows, dogs, and the cat Clarice. Rick and Stacey do a great job of making you feel at home, a will do what they can to show you the area. They even took me and another workawayer, Theresa, to Yellowstone. I would recommend the ranch to any workawayer with a good personality and a strong work ethic. I spent 10 days at Rick`s and Stacey`s ranch and I had an amazing time! I am so grateful for staying at their place! They are very nice and friendly people! They drove with me to Yellowstone park and I am still thankful for that! That was an incredible! I really enjoyed staying and volunteering at their place! I had wonderful days! I have spent ten weeks at Rick and Stacey's ranch in Idaho to pick up the English language and American culture. My experiences have been absolutely great and I'm (still) very thankful for everything they've done for me! They've shown me so many places in Idaho itself, and they even took me to Yellowstone (twice!) and Vegas! 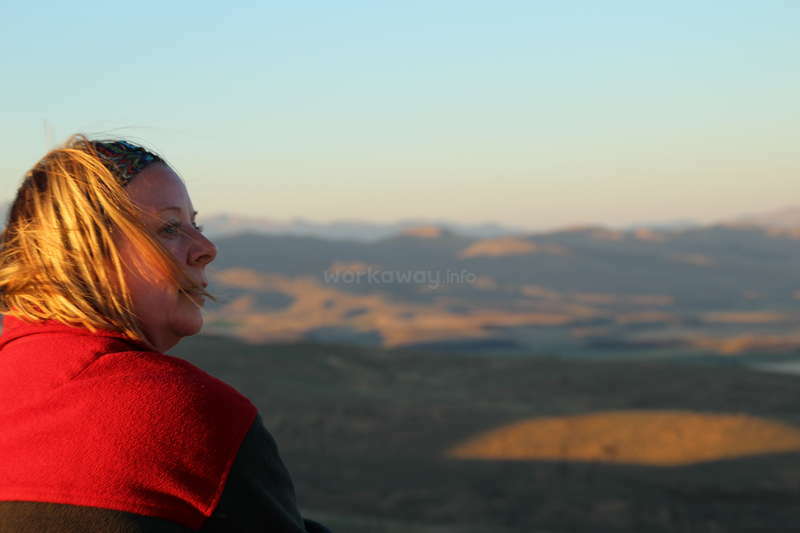 During my stay, I have… read more been building fences, riding horses, gardening, cleaning and so much more as the work at this place is never over. They allowed me to take their spare car to wherever I wanted to go to, which has been very generous of them. Rick and Stacey are warm, welcoming and funny people who will do their best to make sure you're gonna have a blast! If you're looking for the real American West, or if you're looking for a quiet and peaceful place, their ranch is the place to be. I would LOVE to go back one day! I spent a little bit over a month at Rich and Stacey's place and could not have had a better experience. Carey is a cute little town, but you may want to have your own mean of transportation, I strongly recommend biking to the reservoir and hiking around Dry Creek Road. The Craters of the Moon is also a sight to see. About the host, I don't know… read more how to say it. They are both so funny and full of life, I felt as this place was were I had been suppose to be all my life! I will come back, that is for sure! I do recommend to anyone who wants to experiment the quiet ranching life, the unexplainable beauty of Idaho or the warmt and humour of those two wonderful souls to go there right away! Miss you both already!